Tiffany LaBarre moved to Charleston from Houma, Louisiana. She earned her undergraduate degree in Music Therapy from Loyola University New Orleans and her Masters in Communication Disorders from Louisiana State University Health Science Center in Shreveport, Louisiana. She is an active member of the American Speech-Language Hearing Association (ASHA). Tiffany provides speech therapy for Spanish speaking patients at Tri-County Therapy. 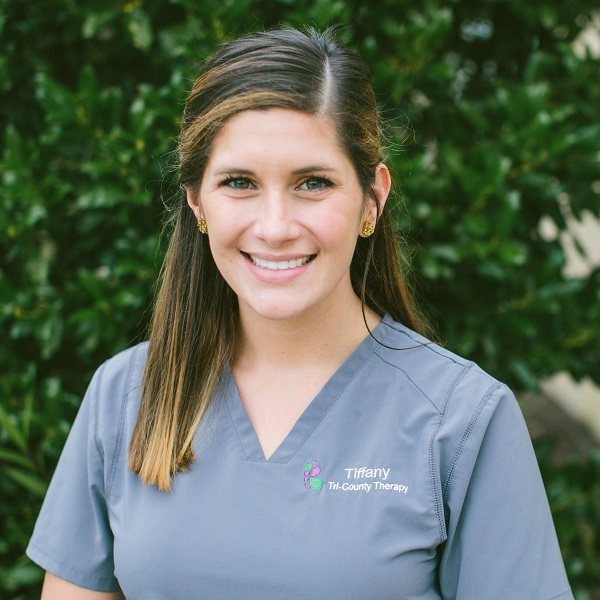 Prior to joining TCT, Tiffany was a school-based SLP providing skilled speech and language services to preschool and school-aged children with varying needs and abilities. Fluent in Spanish, she has a passion for helping Spanish-speaking children achieve communication skills while assisting their families/caregivers to incorporate speech-language goals in their everyday activities. Tiffany enjoys developing creative and fun therapy, which meets the individual needs of each child. Tiffany has participated in Krisi Brackett’s CAN EAT course, which provides a medical, motor, behavioral approach to treating feeding disorders. In her free time, Tiffany enjoys yoga, exploring Charleston with her husband, and practicing calligraphy.